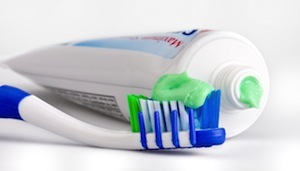 Artistic Touch Dentistry wants to make sure you are not making common brushing mistakes that made lead to cavities or other oral health problems. While we were all taught at a young age to brush our teeth, sometimes there are things we could do better to keep our mouth healthy. WebMD wants to make sure you don’t make these common mistakes: not using the right toothbrush, not picking the right bristles, and brushing too often or too hard. If you’re not using the right toothbrush then you need to consider getting a new one. Make sure to consider the size of your mouth when you pick your toothbrush. You should not have to strain to open your mouth wide enough to let the brush in. If you are, then your toothbrush is too big. You should also make sure the handle fits comfortably in your hand. It should feel as comfortable as holding a fork when you eat. It’s also important to pick the right bristles. Many people don’t know that bristles differ among toothbrushes. While some toothbrushes have angled bristles, and others have straight bristles this isn’t what you should focus on. You should find bristles that are sturdy enough to remove plaque but not hard enough to damage your teeth. If you have any questions about how to properly brush your teeth so your mouth stays healthy then give Artistic Touch Dentistry a call and schedule an appointment with Dr. Maryam Brazdo.